Welcome to Moon Games mobile phone casino where you can play your favourite mobile casino games on the go! It’s easy to win big jackpots wherever you are when you play on your smartphone and tablet. Spin to win the best slots on the Moon Games Casino mobile site for out of this world excitement and stellar prizes! Our mobile site is compatible with any iOS or Android device making it super easy to access. You can also get our free mobile casino app for iOS and play on your iPhone and iPad for the best mobile gaming in the galaxy! Simply visit MoonGames.com on your phone and start playing right away! 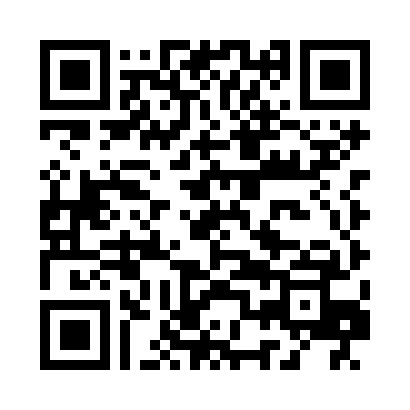 Simple and easy, scan the code and enjoy MoonGames on the go! Moon Games mobile phone casino has a heavenly selection of mobile casino games from the best casino software providers in the industry. Play WMS’s popular Cleopatra slots or one of the exciting mobile slots from the NetEnt Touch collection for the highest quality digital entertainment. Our mobile casino games each feature breathtaking visuals, excellent sound effects, and fluid gameplay for the best time on the go! There are so many mobile slots to choose from including the best performing titles such as Rainbow Riches, Starburst, Fluffy Favourites, and Gonzo’s Quest. Our games library features a variety of themes to suit every player’s taste and preferences from classic fruit slots to the festive Mexican party of Las Cucas Locas! You will also have a blast playing our amazing array progressive jackpot slots with MEGA prizes and branded mobile casino games like Titanic, The Wizard of Oz, and South Park slots. In addition to our fun mobile slots, you can play some of your favourite casino games such as Online Roulette, Blackjack, Baccarat, and Poker. If you want the most authentic mobile phone casino gaming, make sure to visit our live mobile casino where you can play with live dealers in real time! What can be better than playing at a real casino from the palm of your hand! One of the biggest benefits of playing at Moon Games’ phone casino is that you can easily fund your account and withdraw your winnings directly from your smartphone and tablet. Enjoy the convenience of a variety of safe and secure banking options on our pay by mobile casino site. You can use major credit cards, debit, PayPal, paysafecard, Entropay, and more for the easiest transactions. Additionally, we offer a pay by phone casino method where all you have to do is call and speak with one of our support agents. By employing the latest SSL technologies, you can be sure your transactions are secure so you can enjoy stress-free mobile casino gaming 24/7! You can read more about pay by mobile casino here.